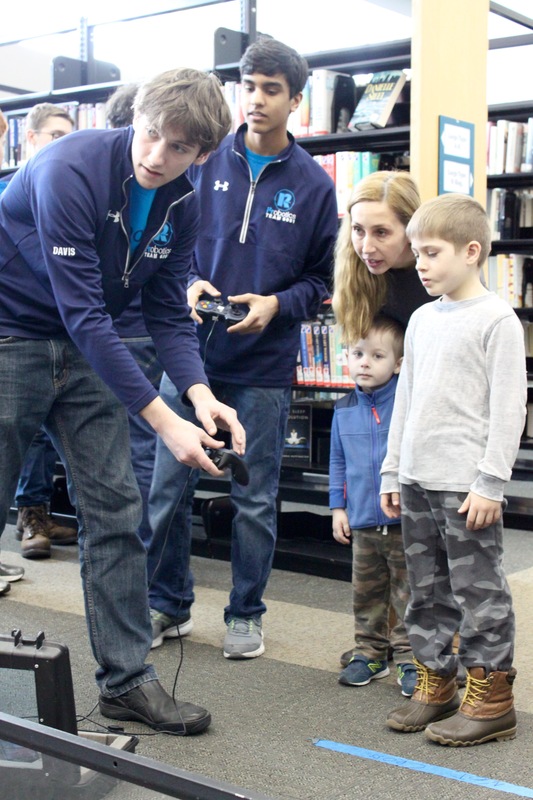 Today, we had a fantastic time at our local library holding a joint demonstration with the New Haven Bomb Squad, bringing attention to FIRST and STEM. To begin, we talked about the of FIRST programs, how each program works, and game strategy. 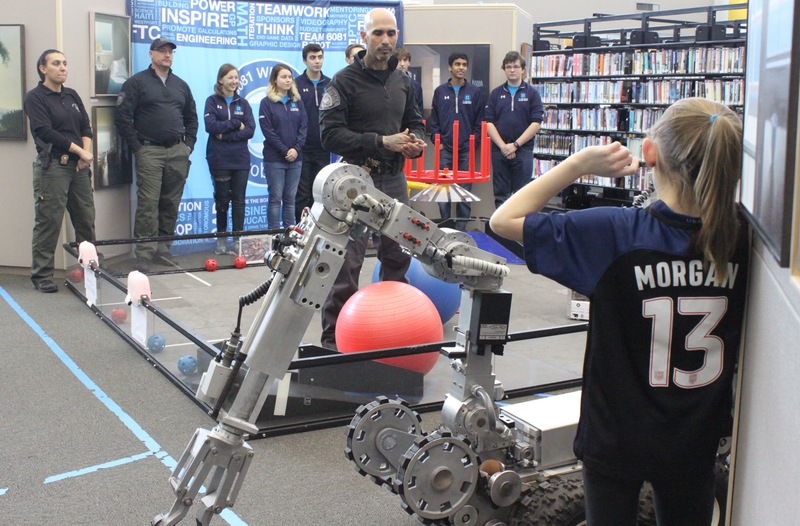 The Bomb Squad joined us with two of their robots, and spoke about their work as bomb technicians. Our team and the New Haven Bomb Squad presenting to the group! Molly and our coach, Terry, talking to members of the Bomb Squad! The audience aged five to eighty five was on the smaller side but enthusiastic and engaged. Many younger kids had a blast driving Orion, and shooting balls into the center vortex. 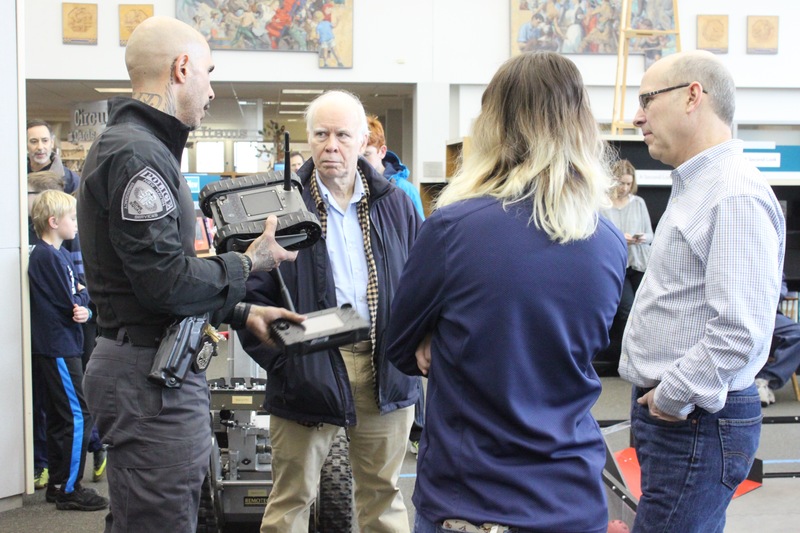 Older members of the audience were also engaged and talked with team members and the bomb squad about the importance of documentation. Ben showing some of the kids how to drive Orion! Sayem and his coach, Ms. Beecher, from Tech Lions, were also present. They were finally able to meet Dennis Wong from the Sunrise Rotary Club, the Tech Lions' major sponsor. 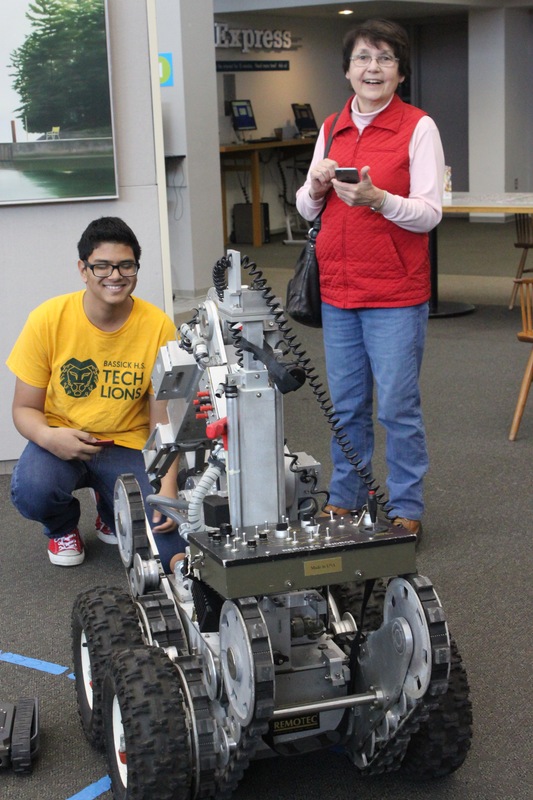 Sayem from the Bassick Tech Lions and his mentor, Ms Beecher driving the largest Bomb Squad robot! Overall, This presentation was fun and informative for everyone involved. We hope everyone learned a lot and that we inspired a few younger kids to join a FIRST team in the future!